Winston says, “Happy New Year!! !” | Separated by a common language. 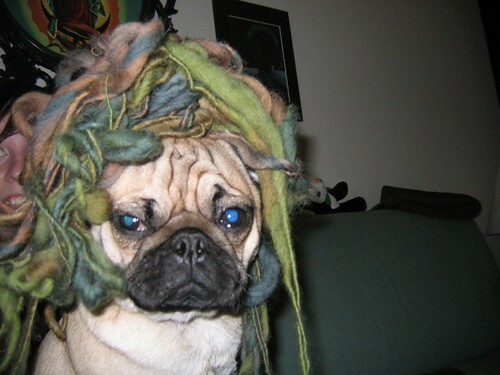 Yes, this is what happens when you buy a unique yarn and have a very submissive dog. Awesome. He kind of looks like a crazy medusa! Oh. My. God. I love this picture! And are his eyes really that blue? My new little guy is a pug mix and has almost royal blue eyes.